A complete oral examination is carried out to assess your teeth and soft tissues to diagnose any dental disease such as tooth decay or gum disease. Regular examinations are encouraged every 6 to 12 months with an emphasis on prevention of dental disease rather than treatment. This is also a good opportunity for your dentist to screen for oral cancer, as early detection is crucial, and to discuss oral hygiene and diet where relevant. Note: The examination is available free of charge once a year to patients who hold full medical cards and those who qualify for PRSI benefit. 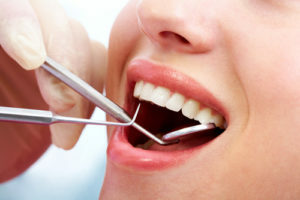 Fillings are used to treat cavities due to tooth decay and also to reform damaged or chipped teeth. Fillings can also be used in the treatment of sensitivity in certain circumstances. 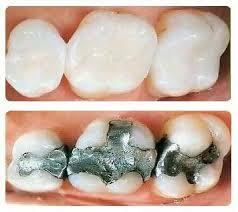 Amalgam (silver coloured) fillings are available for posterior teeth, while composite (white) fillings can be used in both anterior and posterior teeth, under specific conditions, to give a natural looking, tooth-coloured restoration. Root Canal Treatment (RCT) involves the removal of the pulp or nerve tissue from a tooth. The roots are cleaned and shaped to eliminate any underlying-infection. 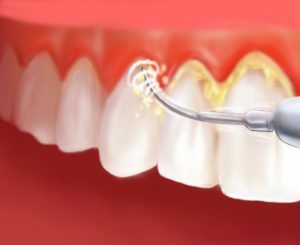 The roots of the tooth are then filled with a rubber-based filling material to seal the root canal system from the external environment. RCT becomes necessary where the pulp is irreparably damaged and aims to relieve or prevent symptoms. Examples of such cases are tooth fracture due to trauma or very deep cavities. 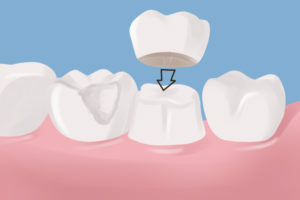 This is the treaty of gum disease which can be broken down into two classifications: gingivitis – which involves the soft tissues and responds to improved oral hygiene and scaling, and periodontitis – where the gum disease has progressed to involve the supporting bone which can lead to tooth mobility and ultimately, tooth loss. Periodontal Treatment normal requires multiple visits to remove calculus and plaque deposits with regular maintenance appointments to try and prevent further progression of the disease. Crowns are laboratory-made restorations used in situations where tooth destruction due to trauma or decay is so severe that a filling is no longer possible. They can also be used to improve the appearance of anterior teeth in which case they will be matched as closely as possible to your own teeth in colour and characteristics. Bridges are also fabricated in the laboratory and are used to replace missing teeth. They are desirable as they are fixed in position but do involve the preparation of the adjacent teeth for support. Dentures are used to replace missing teeth and are removable from he mouth which is useful for cleaning purposes. Full dentures are fitted to the gums when there are no teeth present. 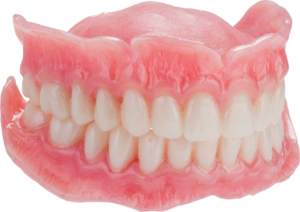 Partial dentures can be fitted to restore spaces when there are still some teeth remaining. They can be made from acrylic, which rely mainly on gum support, or cobalt chromium, which also uses the remaining teeth for support. Tooth whitening is available in the form of home whitening which is the gentlest for of this treatment on your teeth and is highly effective. The teeth are cleaned and impressions taken to fabricate custom-made trays. 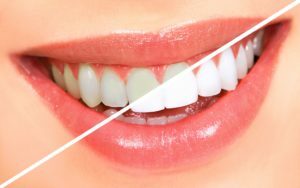 Whitening gel is placed in the trays and applied after cleaning your teeth. You will attend for review appointments during the course of your treatment to monitor your progress and to assess the final shade. These trays may then be re-used after the initial whitening treatment to top up the shade of your teeth at a later date if desired. The treatment can be carried out overnight or simply 30 minutes a day until the desired shade is reached. 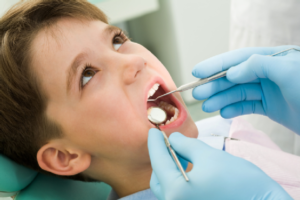 It is advisable to bring children to visit the dentist from a young age to get them accustomed to the surroundings for he dental surgery. It is also important so parents have an opportunity to discuss matters which may concern them with children, such as diet and oral hygiene. Prevention in children is very important and fissure sealants play an important role int he prevention of dental decay in children permanent teeth once they erupt in the mouth, but fillings may be placed in primary (baby) and adult teeth if tooth decay develops.